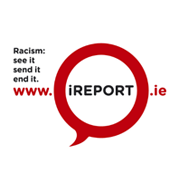 In the newest iReport.ie Report racism is confirmed as a consistent fact of daily life for all racialised groups in Ireland. 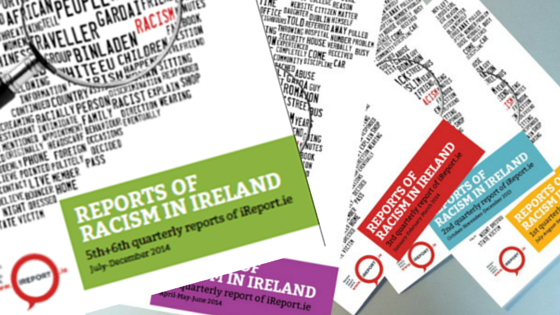 July- December 2014 Quarterly Report of Racism in Ireland Published. Click here to read it. 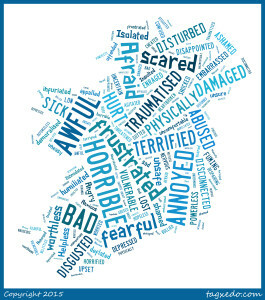 This report of the data from the second half of 2014 also represents the closing report for the first phase of iReport.ie. It confirms again the remarkably consistent pattern in key findings across the 18-month phase. 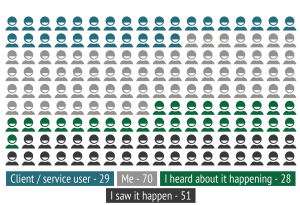 Just as this testifies to the reliability of our methodology, it also means that we can assert with a degree of confidence that our data see is representative of the real experiences of racism which people have had in Ireland in 2014. 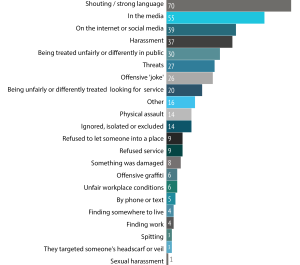 People of Black, African or perceived African origin are routinely subjected to patterns of racist and dehumanising verbal abuse, often by strangers, escalating to harassment and at times to assault. 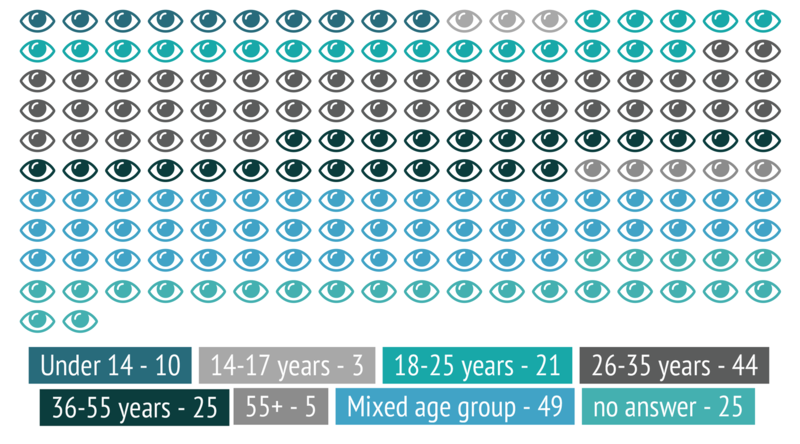 In line with the ENAR research on the experience of People of African Descent across Europe, this demographic is most likely to be targeted during daylight hours in busy areas. Of course this doesn’t mean that such incidents are confined to daylight hours. Mr Happy Agamah, a Ghanaian-born German citizen, was targeted while he slept at night by arsonists who had subjected him to a pattern of racist abuse. Irish Travellers, Muslims, Asians and Roma are also subjected to unacceptably high levels of racism in the form of discrimination, verbal abuse and violence. International events have an impact on Ireland as they do across Europe: a number of reports of antisemitic and islamophobic incidents suggest a context relating to overseas conflicts. 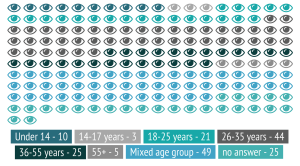 The data also sheds light on the under-explored phenomenon of hate crimes against people on multiple grounds, for example ethnicity or race plus disability, sexuality or gender. In one incident a six month pregnant woman was kicked in the stomach by her neighbour. We know more about the impact of hate crimes too on the victim and their behaviour, but also, through the ripple effects of secondary victimisation, on community relations which can deteriorate as a result. There is also a clear link between the use of racist language and violence against all groups. In this period again, there are no reports at all from people who are awaiting their asylum applications in the long discredited regime of Direct Provision Centres. While the bleak conditions in the centres are well documented, we can only speculate from our own anecdotal evidence, and from other research into under reporting, as to why this is so. This degrading and inhuman regime must be brought to an end without delay. The overall picture is of racism as a consistent, albeit grossly underreported fact of everyday life for all racialised groups in Ireland today. In the absence of a National Action Plan Against Racism, this worryingly persistent problem is set to become a major societal issue in years to come. These stark facts, and the additional data on the repercussions of hate crimes, support the urgent need for the Government to introduce hate crime legislation. For such legislation to be truly effective, it must be flanked by an array of other measures, brought together under a new National Action Plan Against Racism, to combat segregation, discrimination and structural racism across a range of institutions. In doing this, Ireland would be meeting many of its international obligations and recommendations, including those of the 2013 European Commission against Racism and Intolerance (ECRI) report on Ireland. 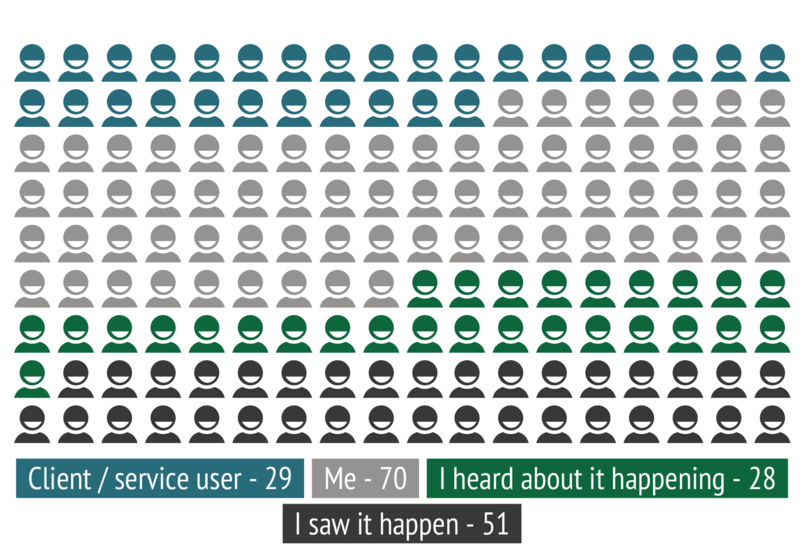 This six-month report of iReport.ie findings concludes the data using the Phase 1 data standards. Following a review involving feedback from our network members and consultation with the OSCE Office for Democratic Institutions and Human Rights (ODIHR), reports for 2015 onwards will be compiled using new reporting standards intended to make the data more readily comparable to that of An Garda Síochána’s (the Irish police force) as well as NGO and State data across Europe. This will also allow us to drill deeper into the reasons for the chronic underreporting of cases to An Garda Síochána, consistently over a 70%. With this data we will be able to make more focused recommendations, which can be fed in to the current process of Garda reform. Click here to access previous reports. 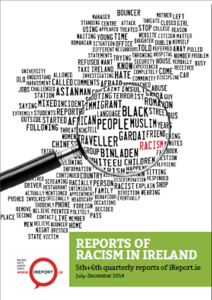 July- December 2014 Quarterly Report of Racism in Ireland: Racist Incident Infograms. Click to enlarge. What kind of racist incident happened?